At long exposure, a vibration free release is critical for best results. Any pressure on the cameras trigger can cause camera shake so for best results a remote release is highly recommended. 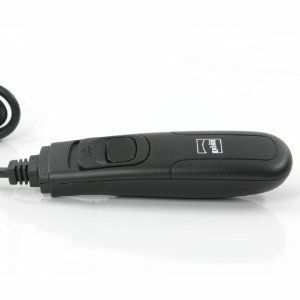 The Dorr Camera Remote Shutter Release with a 1m cable - Canon 11 Digital SLR includes caps lock for long exposures with BULB setting. Suitable for the following cameras.